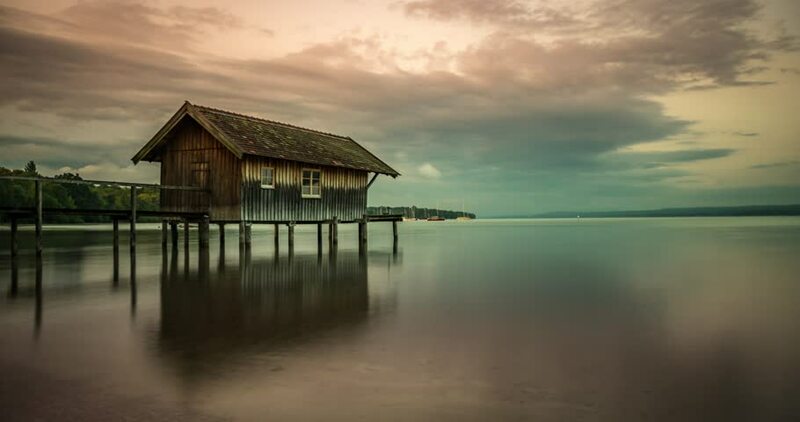 Ammersee Bavaria Germany Timelapse video, view of lake at morning, sunset clouds. Beatutiful Landscapes Time lapse at night clouds over lake, Huts. 4k00:13The Footbridge Leading To The villa On Maldives. hd00:06SELANGOR, MALAYSIA - 20TH JANUARY 2016; Sunrise over paddy fields at Selangor, Malaysia.